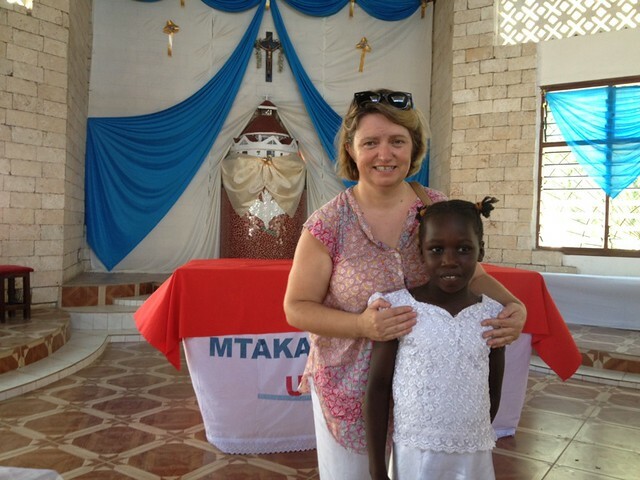 Anne Njeri is a brave girl of approximately 13 years old. She joined the GLO family six years ago on 18th March, 2010. This was after her mother was imprisoned for mistreating her and her elder sister. It was so unfortunate that against the wishes of Papa Kevin & Mama Mary Njeri and her elder sister, Shiroo were placed in different homes hence they could not meet so often. Otherwise Njeri has been progressing well in all aspects of life under the care of the GLO and is currently in class five heading to class six next year. Also her mother finished her jail term three years ago but was deemed unfit to take care of her two daughters until recently when we managed to get in touch with the grandparents who live in central Kenya in Nyandarua County. 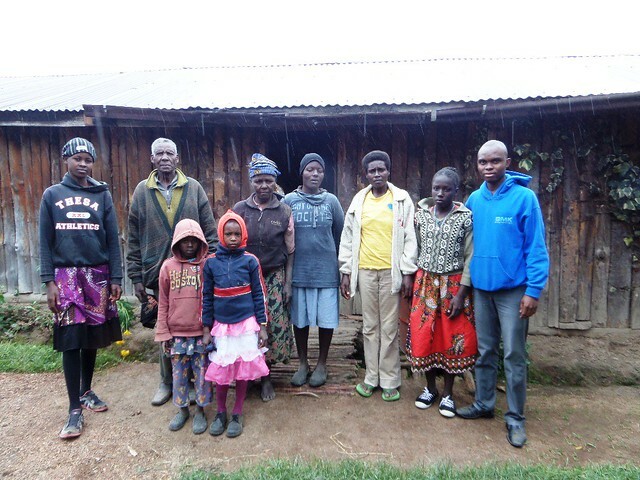 Njeri’s elder sister was the first one to be reintegrated back to her family a couple of months ago and when Njeri heard the news she also longed to meet them. According to the government guidelines, all children who have any known relatives should only stay in CCI’s as the last alternative, otherwise they should be supported whilst they live with their extended families. Having this in mind, we organised a meeting with Mama Njeri and planned on how we could do the reintegration process. Mama Njeri had stayed in Mombasa for four years without getting in touch with her parents and she was impressed with our idea, she got back to us three days after our meeting saying that she was willing to make amends with her parents. Winfred, Mama Njeri, Njeri and I started off to Nyandarua County from Mtwapa at around 9:00 pm on 17th November, 2016 and some of the preteens together with Mama Tuita who had been taking care of Njeri for all the years she’s been at GLO escorted us to the bus stage. 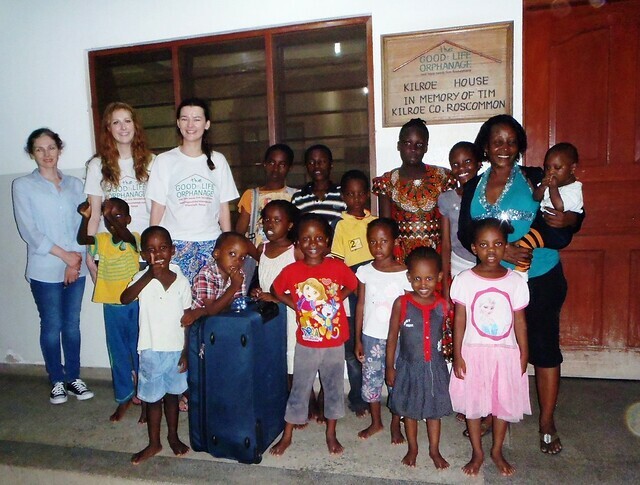 It was a very emotional moment for all the Kilroe House children as they all wished Njeri a happy life with her extended family especially as Mary-Anne Kilroe along with Tina & Victoria were volunteering at the time. We arrived at Nairobi at around 7:00 am and boarded another bus to Nyandarua. After a distance of almost five hours, we arrived at the main shopping centre near Njeri’s main home but the roads were impassable so we had to use motor bikes to finish the final part of our journey. We finally reached our destination at around noon then we had a meeting with Njeri’s grandparents who were a bit concerned about Mama Njeri’s past behaviours but they later accepted her and their granddaughter after explaining to them that she’s a changed woman now. Winfred was very helpful in interpreting their language to me as they mostly talked in Kikuyu. They told us that they last saw Njeri when she was six months old. They were all happy to see how much she’s grown and they also offered us some hot porridge as we carry on with our discussion. 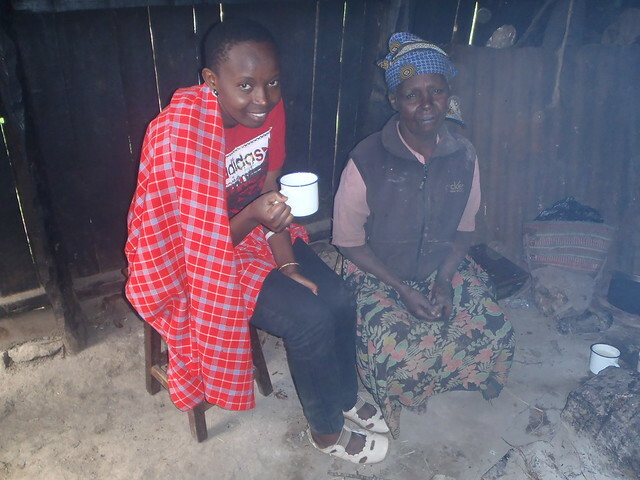 Njeri was also happy to finally meet up with her elder sister and the entire extended family. After the meeting, we managed to pay a visit to the neighbouring school that Njeri would join next year and it was within a walking distance of around 30 minutes. Njeri’s grand father told us that it was one of the top performing schools in the county and nationwide Nyandarua County has always been among the top performing counties in the national examinations. 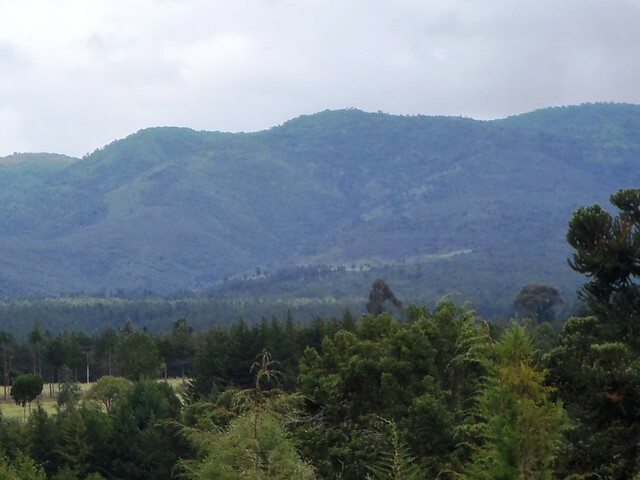 The weather there is very cold as the place is located at the foot of the Aberdare hills so it wasn’t very friendly to us who are used to the heat from the Coast region. 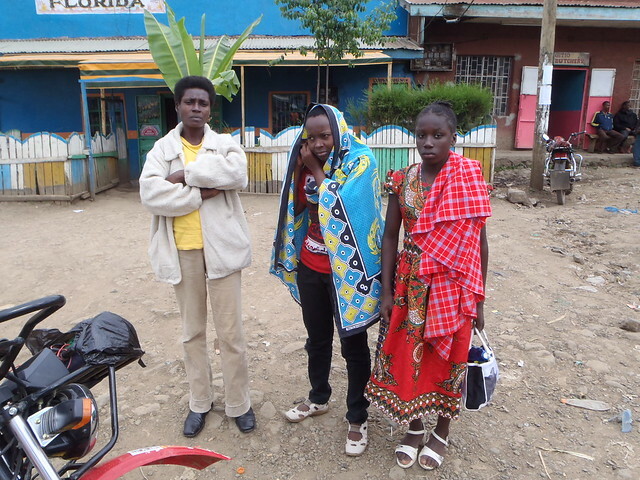 On our way back, we had to travel with Mama Njeri to the neighbouring shopping centre in order to buy Njeri jumpers and a blanket so as to fend her off from the cold. We also bought her some other important items that we felt were necessary. 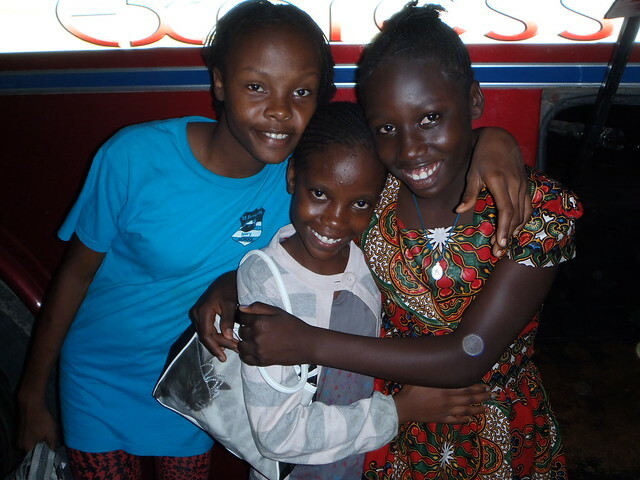 Before departing back, we had a little chat with Njeri and promised her that we would always be there for her whenever she needs any support to ensure that she excels in her academics. It was such a successful journey and a very good experience for us all bearing in mind that Njeri will now grow surrounded by her biological parent and relatives. As with many of the children we reunite with their extended families who need financial assistance, we will continue to pay Njeri’s school fees and send a little each month to ensure the transition from life within The GLO to life outside as smooth as possible. Again we say a big thank you to everybody who has always been on our side to support the needy and vulnerable children, its always very encouraging to see children like Njeri accepted back into their extended families. It must always be very satisfying to reunite children with their biological family. 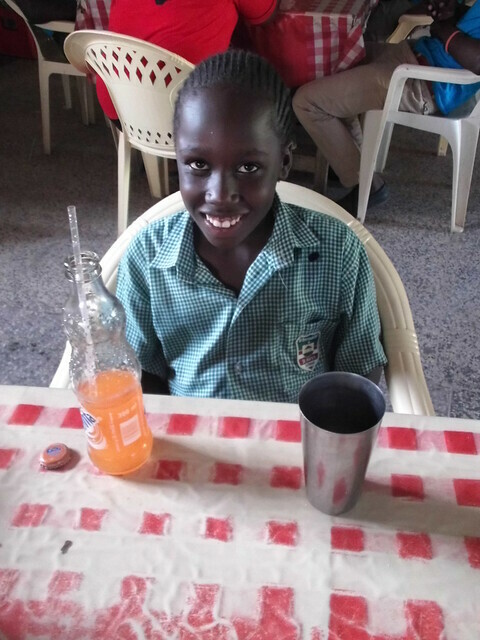 With your wonderful support and such a lovely caring start to Njeri’s life we hope and pray she will have a safe and happy life, and do well at school.